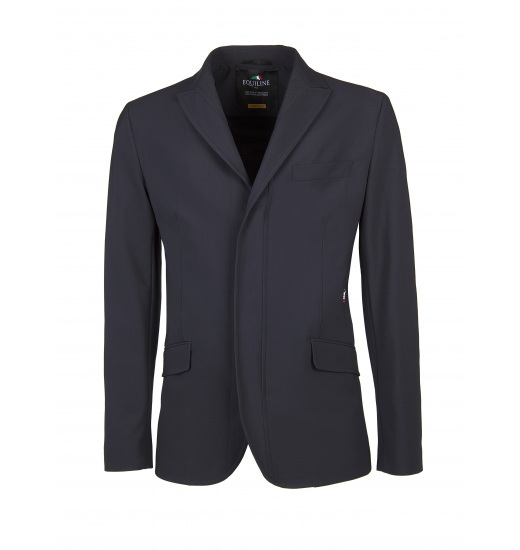 Men's show jacket Iavrin that due to application of innovative X-COOL technology combines the highest quality of wearing and style characteristic for the Equiline brand. In the most delicate places, namely on the armpits and the sides there are fragments of material covered with microperforation that provide better ventilation during competitions. 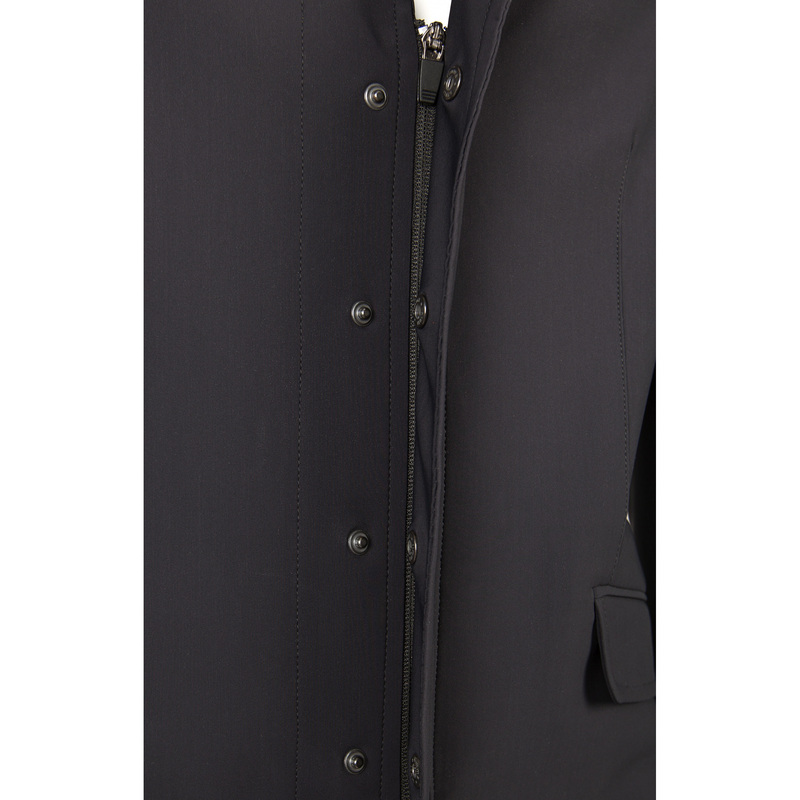 What is more, there is another convenient solution - a hidden zip of the jacket that is covered on the outside with additional poppers. 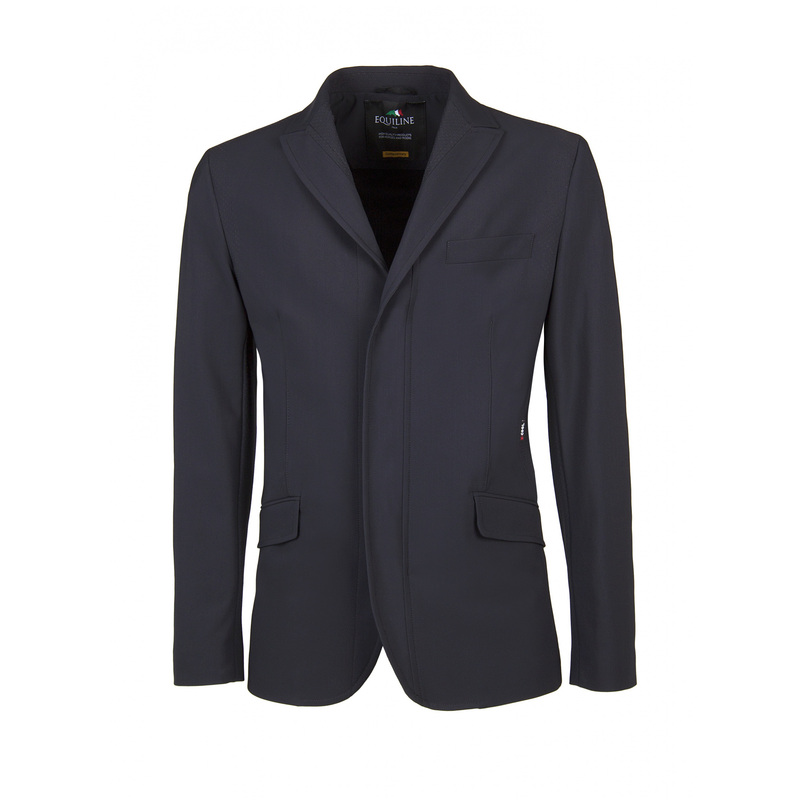 Material of which the jacket is made is not only highly elastic and breathable, but also waterproof.